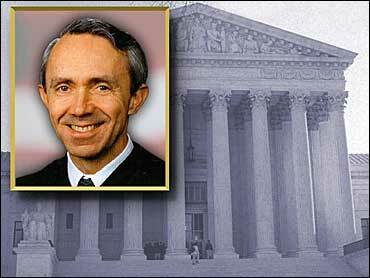 Supreme Court Justice David Souter suffered minor injuries when a group of young men assaulted him as he jogged on a city street, a court spokeswoman said Saturday. The attack occurred about 9 p.m. Friday, court spokeswoman Kathy Arberg said. Supreme Court police took Souter, 64, to a Washington hospital, where he was examined and released about 1 a.m. Saturday, Arberg said. She did not detail his injuries except to say they were minor. Souter was not robbed, Arberg said. She gave no other details about the assault, or about any police investigation or arrests. Metropolitan Police Dept. spokesman Sgt. Joe Gentile refused to comment. A spokeswoman for Washington Hospital Center also would not talk about the incident because of privacy rules. Souter was running alone when he was attacked. He lives in a city neighborhood not far from the Supreme Court building on Capitol Hill, but it was unclear whether the assault occurred near his home. Souter is among the youngest justices and is a regular jogger. He is not the first justice to be injured while exercising. Justice Stephen Breyer was thrown from his bicycle several years ago and suffered minor injuries. Souter was named to the bench by the first President Bush in 1990.